Call today for your Bay Area Limo Service – 1.800.380.9788. If your clients are flying into SFO, OAK or SJC and you’d like to impress? What a better way than book a reservation with our Bay Area Limo Service! We can pick you up to meet your client or just let us know where and when to pick them up. What a better way to impress your date by having them chauffeured around the city with you. You can focus 100% on your date and leave the driving to us. Just give us your itinerary and we’ll get you to all your events on time. Our Bay Area limo service will transport you to and from SFO in one of our luxury cars, giving you last minute prep time before the flight or a chance to relax as we take you home – all at a competitive, affordable price! Going to a wedding? Are your kids going to the prom? Whatever the occasion, let us handle the worry of driving. You just sit back and enjoy the scenery as our trained, experienced chauffeurs ensure you safely arrive at your destination. That means getting to your event on time! 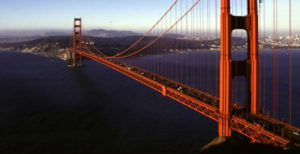 Reserve your Bay Area Limo Service Today! A reservation with Bay Area Car Service means you won’t need to worry about arriving to your destination on time. You can leave your car safe in your garage. Don’t bother with long term parking. You will save on the costs associated with daily parking. If you calculate the cost of long term parking with the cost of our limo service, you’ll be surprised at how affordable we really are. Our chauffeurs will ensure you make it with plenty of time to spare, to browse the newsstand before your flight. Don’t depend on a taxi or Uber, you may wind up waiting in the rain and cold. Our friendly drivers will pick you up where and when it is convenient for you, any time of the day, dropping you off directly at the terminal, hotel, convention center or your front door. 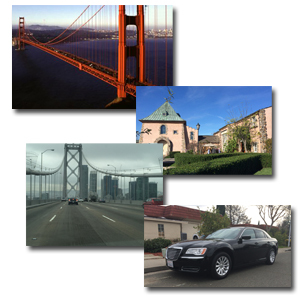 Our Bay Area Limo Service will get you to your home, hotel or office safely and quickly. That’s our guarantee. We know that flying – or even just getting to the airport – can be nerve-wracking, especially when dealing with picking up and dropped off strangers; let us take over the driving while you take a break. Ready to book a car? Call 1.800.380.9788 or click here to reserve your Bay Area Limo Service!